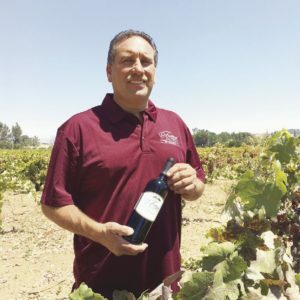 Since taking over the winery from his father Ernesto in 1995, Gino has made his own mark by perfecting and crafting our Carignan wine – made from 100% Carignan varietal grapes, and our signature red blend – Maribella. When Gino is not crafting our wines, managing the vines, harvesting the grapes, or making improvements to the facility and wine making equipment, you will find him in the kitchen where he masterfully prepares every meal for our Fortino weddings and events. Breann is the newest member of our team. 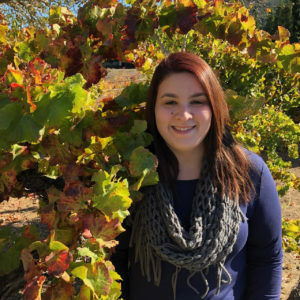 Hailing from Ukiah in Northern California, Breann will graduate in May of 2019 with her Bachelors Degree in Hospitality Management from San Jose State University. Fusing her knowledge of events with her passion for people, she has stepped into the role of Event Manager and hit the ground running – designing, managing and delivering extraordinary events. Breann will amaze you and ensure your event is perfect down to the last detail! She is dedicated to building relationships with clients and helping them execute the event of their dreams while maintaining a pleasant, calm and helpful demeanor. Her organization, attention to detail, and enthusiasm for events make her an integral part of our team. Contact Breann to discuss your wedding, private party, or corporate event. We know you’ll love her as much as we do! 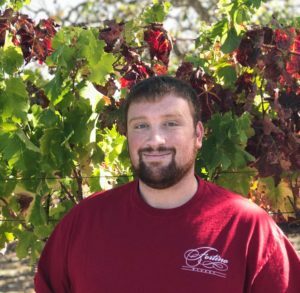 The Fortino family proudly welcomes Austin Fortino into his dual-role as Outside Sales / Tasting Room Manager. Austin brings fresh ideas and a new perspective to the Fortino wine tasting experience. He is always ready to serve you and your guests with a warm smile and friendly conversation. Austin’s intimate knowledge of our wines will amaze you, while his stories of the family, the winery and history of the area will delight you. While out and about at your favorite local restaurant you may also catch a glimpse of Austin taking orders and delivering wine. Whether in the Tasting Room or out and about, Austin is always happy to talk about our wines. Just ask him how best to pair our wines with your favorite dishes. We promise he will help you expand your appreciation for both wine and food, and he is likely to come up with a combination you haven’t considered yet! Bertha Valenzuela is one of the most accomplished wine professionals on the Silicon Valley wine scene. More than likely you’ve seen her all over social media – just follow her on Facebook or Instagram. 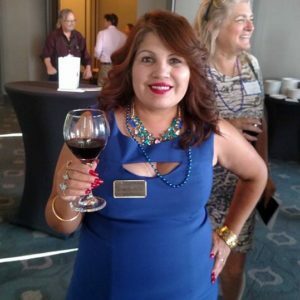 She is a force to be reckoned with, spreading the word about Fortino, a family owned winery in Gilroy, CA, where she has had a 15 years long relationship. In her tireless pursuits, Bertha enthusiastically spreads the word about the Santa Clara Valley and the Fortino family, which has roots in the Italian wine tradition. Bertha’s mantra is flavor, fun and friendship through wine, a passion she shares with wine lovers across the Bay Area. She introduces folks new to wine as well as enthusiasts, to the Fortino portfolio. Her easy-going manner is the key to her success, building quite the following for Fortino’s flagship wines. You’ll find Bertha greeting new or vintage Fortino fans at local wine festivals and corporate events. The winery hosts a variety of must-attend events, and you’ll find Bertha there, pouring wine or out on the dance floor, encouraging guests to have fun. That’s just reflective of the Fortino spirit. She supports local charities, educational and community-based events. For Bertha, it’s all about food, family, friends and a bottle of Fortino wine at every dinner table. After all, wine is all about bringing people together, and that is what Bertha does every day.